Writing a business plan can seem like a big task, especially if you’re starting a business for the first time and don’t have a financial background. Even if you do have some experience, getting a refresher on what a modern business plan looks like is always a good idea. After all, business plans have changed over the years, and what lenders and investors expect now is different than it was even just 10 years ago. That’s why we’re sharing our investor-approved business plan template. This template has been used by universities such as Princeton and Babson to teach entrepreneurs how to start businesses. It’s also been used by over 500,000 businesses to write business plans for bank loans, venture capital and angel investments, business expansion, and even business sales. It’s a proven template that works and will help you get a jump-start right away, saving you critical time and making the business planning process much easier. 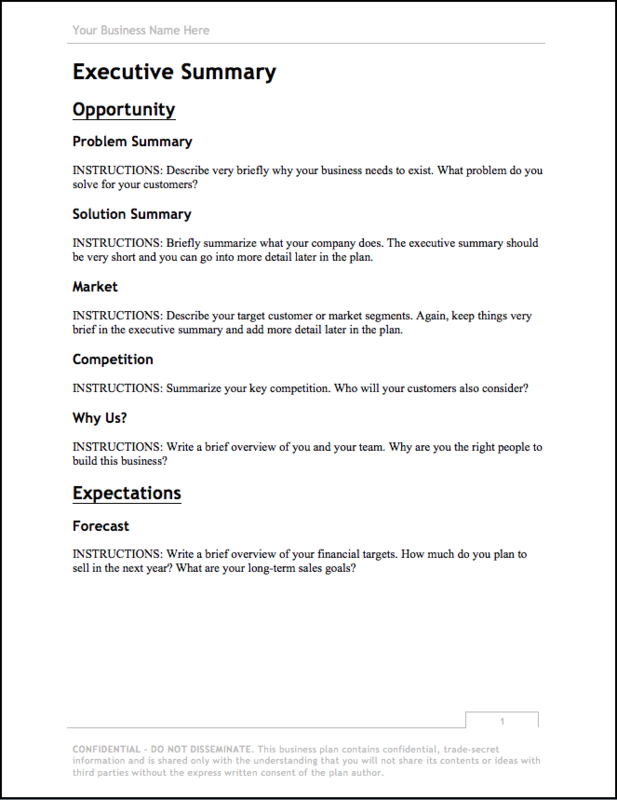 You can see the template below or you can download it here Business plan template 2019 (351 KB) Enjoy! With all the options available for business planning, is a template the best place to start? A good business plan template can help you get your thoughts organized. It can provide a guideline, so that you’re not stuck looking at a blank page trying to figure out where to start. Plus, it can show you the general layout of a standard business plan. A great business plan template will also provide instructions for each step of your plan and show you what an investor-ready and SBA-approved business plan should look like. However, be careful—there are lots of people out there who will try and charge you for a template. Don’t get tricked into paying for one when there are so many free templates available that will help you get started on your business plan. If you need more than a free, simple template can provide, look into online business planning solutions like LivePlan, which provides more help and customization options than any template can. If you have any business plan questions, please feel free to ask our business plan experts on Twitter or Facebook.